Transat has unveiled another surprise for travel agents today (March 13) as part of its 30th anniversary celebrations. For every booking of a Transat product made by midnight today, it will automatically earn agents a chance to win one of three trips for two people that will be drawn at random – one in Quebec, one in the Ontario-Atlantic region, and one in Western Canada. The three winners will win a package for two, including the Air Transat flight in Economy class and a one-week, all-inclusive stay in one of the following hotels: Luxury Bahia Principe Fantasia Don Pablo Collection, Punta Cana, Grand Bahia Principe La Romana and Luxury Bahia Principe Akumal Don Pablo Collection, Riviera Maya. 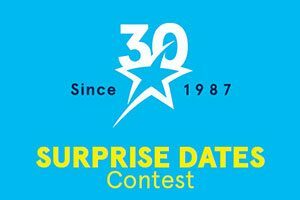 To enter the contest, there’s no need to register anywhere or fill in any kind of entry ballot: contest entry is automatic as soon as a flight, package, tour or cruise package is booked during the day. In addition, the names of two other travel agents per region who have booked a Transat product today will be drawn at random. They will earn $30 in Bonbon rewards. The winners’ names will be announced in the coming days. So what’s so significant about March 13 for Transat? Well in 2006 – that’s 11 years ago for those doing the math – Transat A.T. inc. acquired Canadian travel agency network Thomas Cook Travel Limited, marking an important milestone in the evolution of Transat’s distribution sector.